We offer a superior range of Domestic UV & UF Water Purifier to our clients. These are provided with wall mounting option to fit easily on the kitchen wall. It has high quality Philips UV Lamp to kill most of the bacteria and viruses present in drinking water. These are provided with granular activated carbon filter to reduce odor and that enhance the taste of drinking water. 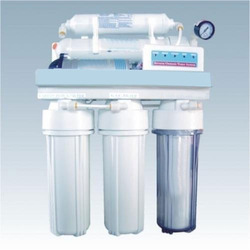 It also has 5 micron sediment filter to remove physical impurities. Our range has 60-80 Liters per hour purification capacity and it provides pure, tasty and real drinking water. 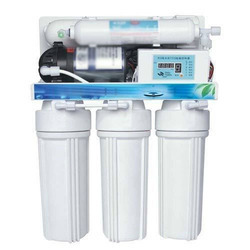 We also provide a superior range of UF Water Purifier to our clients, which is a domestic water purifier based on ultra filtration technology. These are stringently tested on various quality parameters and useful for remote areas. Our range is facilitated with table top and wall mounting option that can be personalized as per the requirement of our clients. Inline Post Carbon Filter to maintain the good taste of pure water. 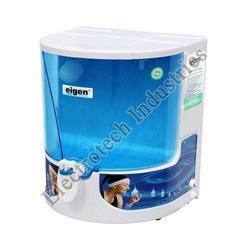 Our organization offers a superior range of UV Water Purifier to our clients at competitive prices. These systems have ultra violate filtration in which hydrostatic pressure forces a liquid in a UV chamber. Our range is extensively used for residential or domestic purposes, and in hotels and restaurants. These purifiers protect drinking water from impurities like viruses, bacteria, odor, color, taste and dust efficiently.